Consumer Reports recently gave the Tesla Model S P85D a nearly unheard of perfect score for its usability and performance. But on Tuesday the magazine yanked its coveted recommendation for the electric car. The problem: Tesla (TSLA)'s Model S earned a below-average reliability score in a recent Consumer Reports survey of owners. That doesn't change or contradict the car's perfect performance score of 100, but it will probably give some buyers pause. Tesla shares slid 10% shortly after Consumer Reports released the survey. The Tesla Model S had been Consumer Reports overall "Top Pick" among all cars for the last two model years -- its ultimate recommendation. But in order to be considered for a Top Pick, a car must have a reliability rating of at least average. The magazine reached out to Tesla for its response to the survey results. 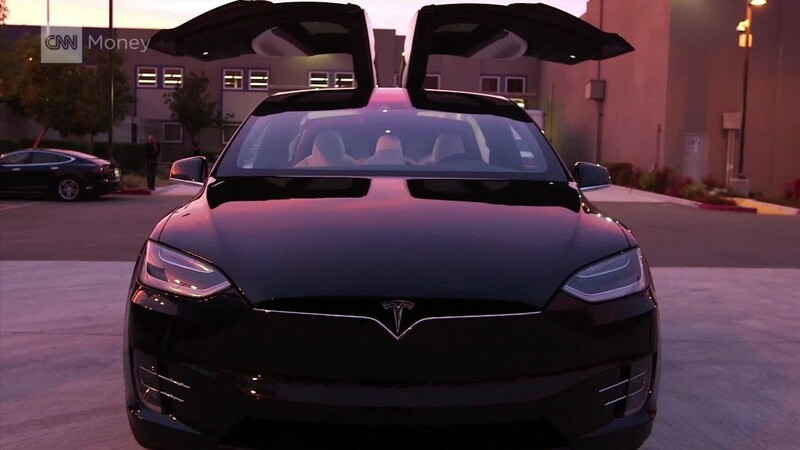 "Close communication with our customers enables Tesla to receive input, proactively address issues, and quickly fix problems," the California-based automaker told Consumer Reports. "Model S over-the-air software updates allow Tesla to diagnose and fix most bugs without the need to come in for service." Consumer Reports surveyed owners of more than 740,000 vehicles about their experiences with their cars, trucks and SUVs and used those responses to predict future reliability for more than two dozen brands. Detroit-based car brands also did not fare well in the survey. Fiat Chrysler Automobiles (FCAM) scored especially poorly. Its Fiat, Jeep and Ram brands ranked at the very bottom of a list of 28 different car brands. Dodge and Chrysler were also among the bottom 10. Two big areas of trouble for many of the cars were so-called "infotainment" systems -- computer interfaces that control things like entertainment, navigation and mobile phone connections -- and complex new fuel-saving transmissions. Only General Motors (GM)' Buick made it into the magazine's Top 10 for reliability. Lexus and Toyota (TM), both long known for dependability, took the top two slots.